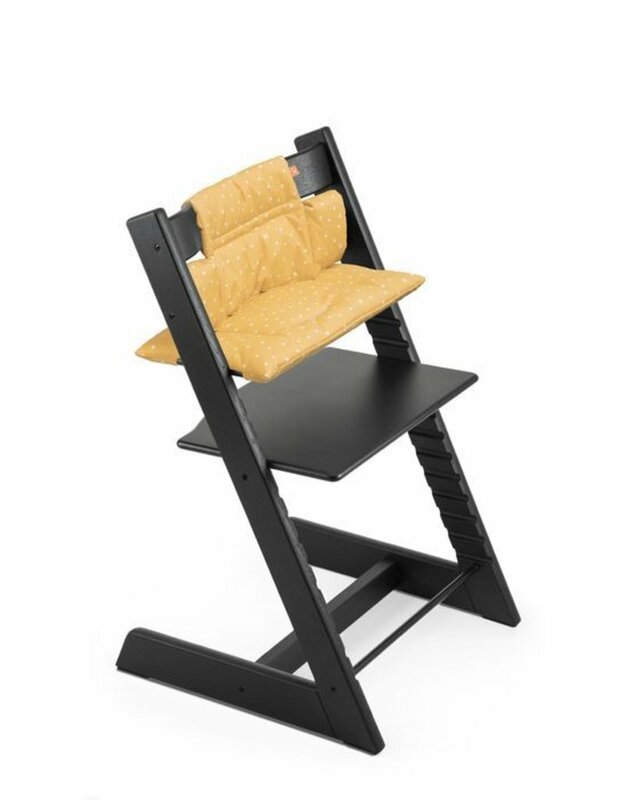 The Tripp Trapp® cushion provides a cozy seat by adding lush comfort and support to your child. 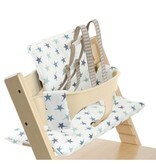 Made to accompany the Tripp Trapp Baby Set, but cushion can also be used just on the Tripp Trapp chair with no Baby Set. 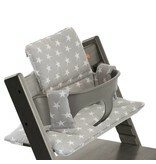 This cushion will keep baby comfy and happy for every meal. 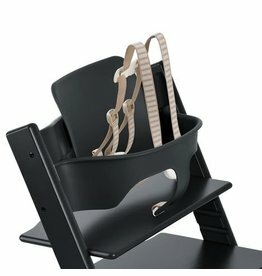 There are two versions of the Tripp Trapp cushion (coated and uncoated). 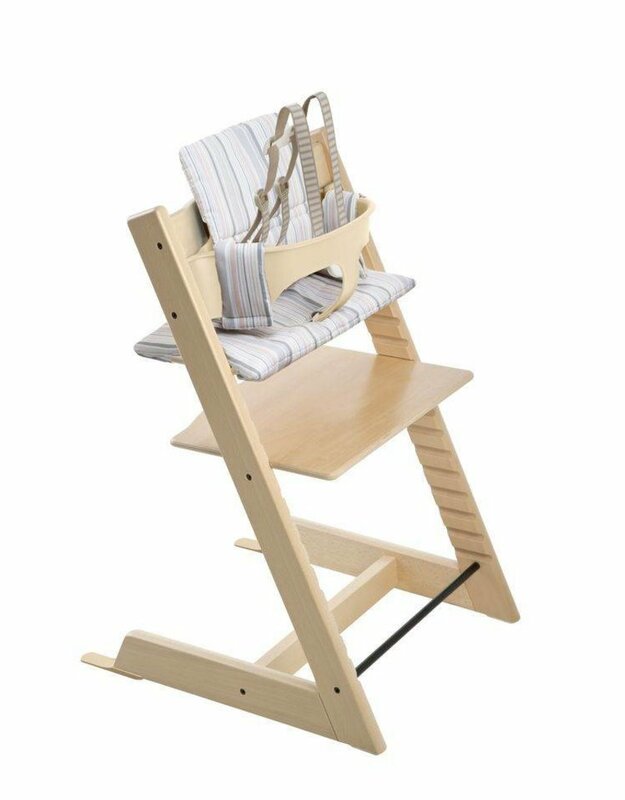 The coated cushion is made of 100% cotton coated with a treatment making it water-repellent, less likely to stain and easy to wipe clean. 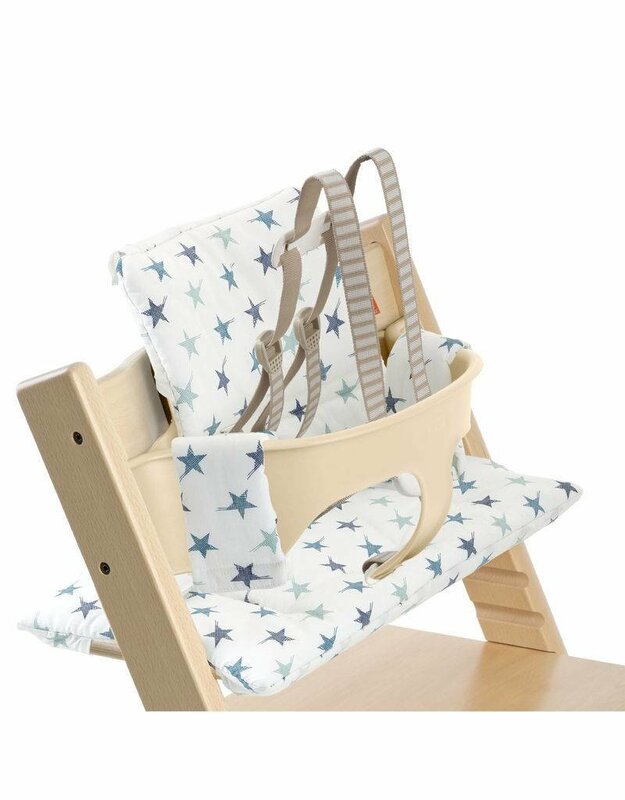 The uncoated cushion is made of 100% cotton allowing your baby to enjoy the gentle feel of this natural fabric. Cotton yarn makes this a soft and breathable textile. Machine washable for easy clean up. Dry on low to maintain the original surface. 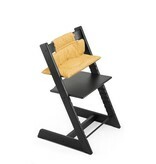 Choose from a variety of patterns created by designers to match your interior and suit your style. 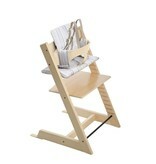 Can be used with Baby Set as well as covering just the Tripp Trapp chair. 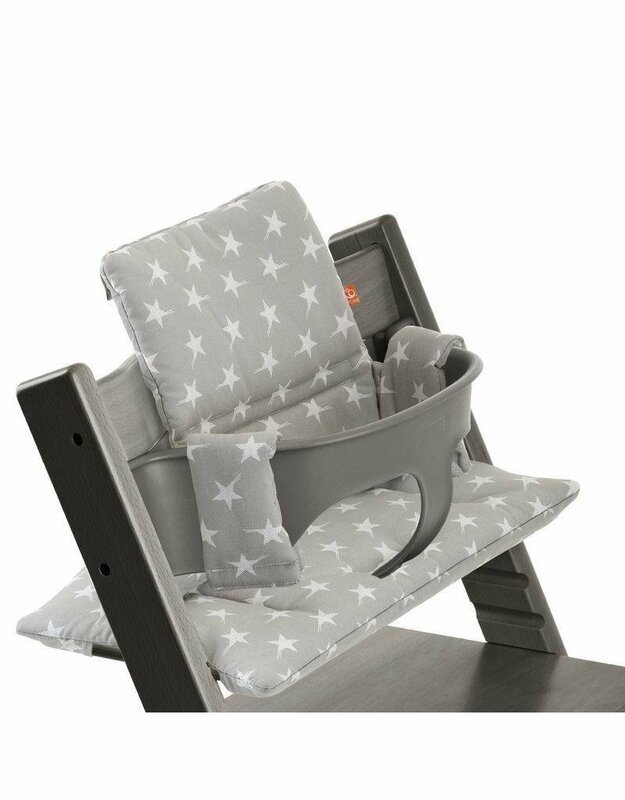 All fabrics, dyes and coating are Oeko-Tex Standard 100 certified to secure only the safesty textiles for your child.